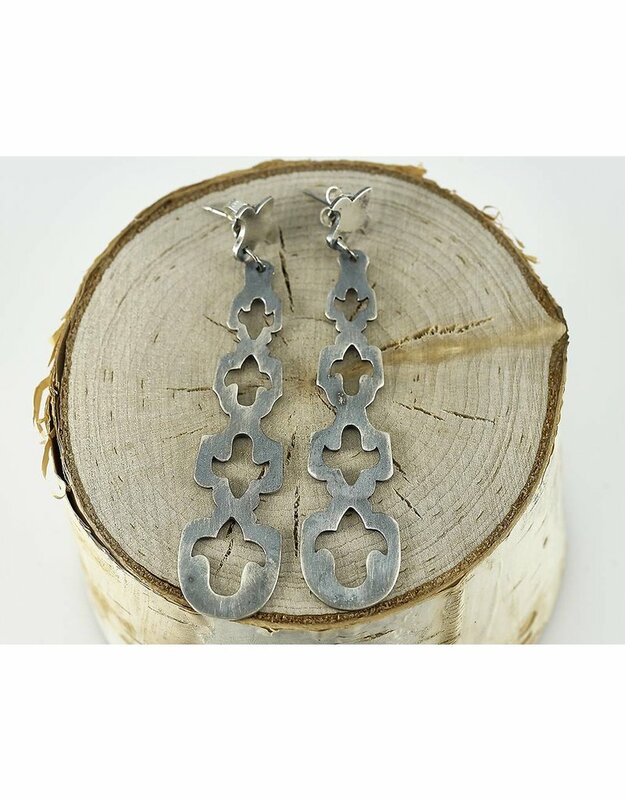 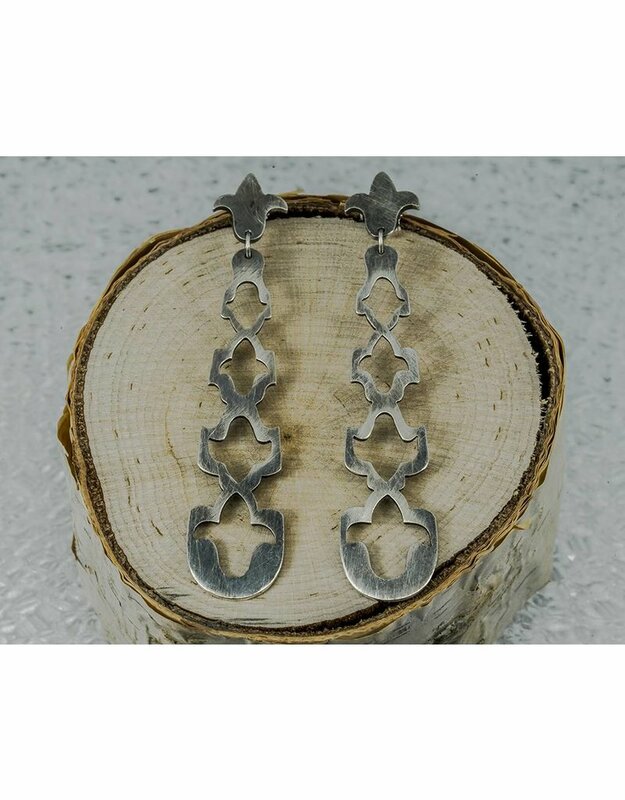 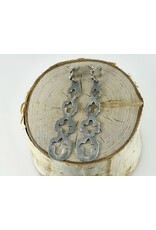 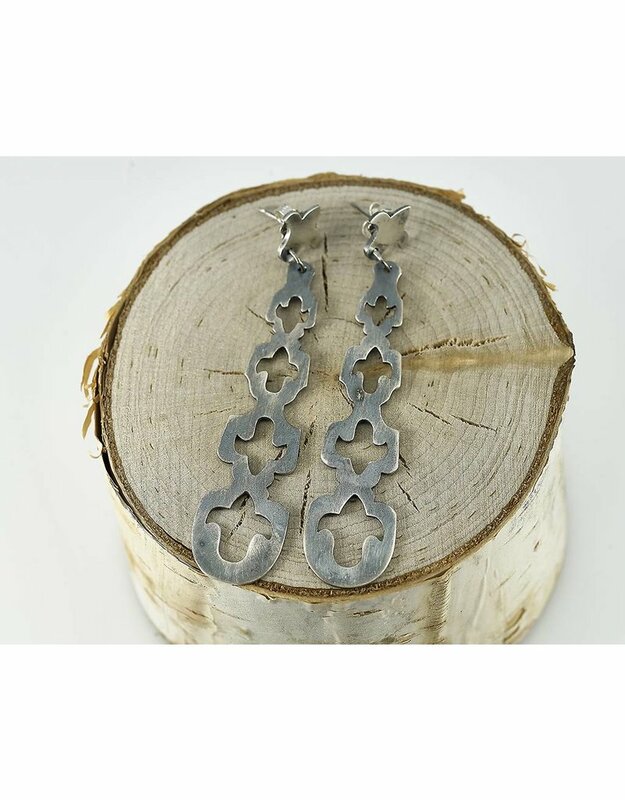 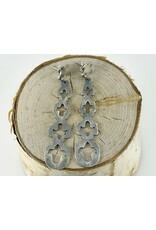 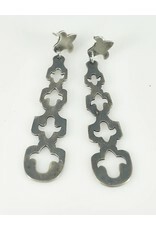 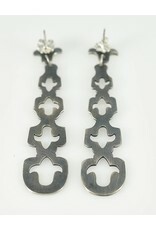 So this lovely pair is oxidized sterling silver with four flower cut-outs different sizes. 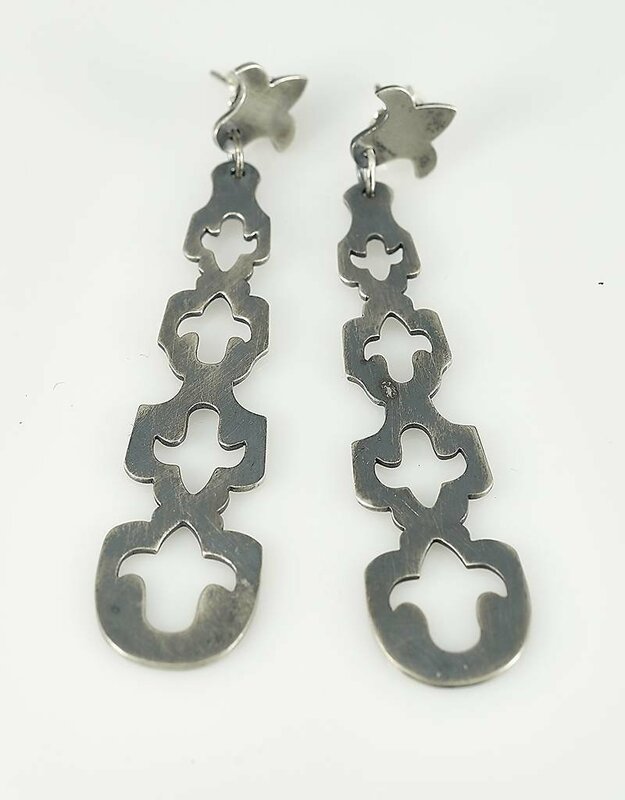 The long part is attached to small sterling silver flower with a silver link. 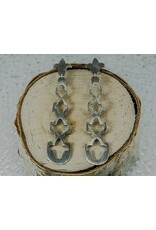 the posts and the nuts are also both sterling silver. 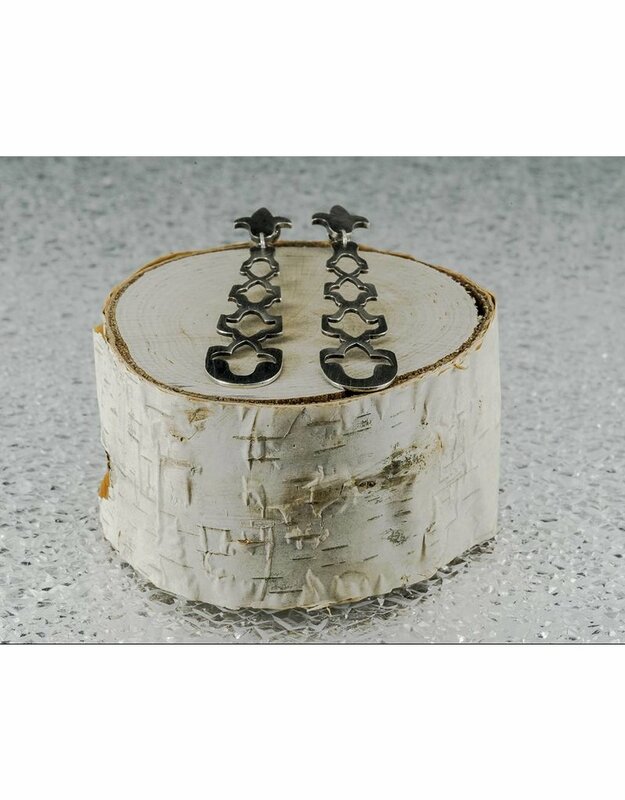 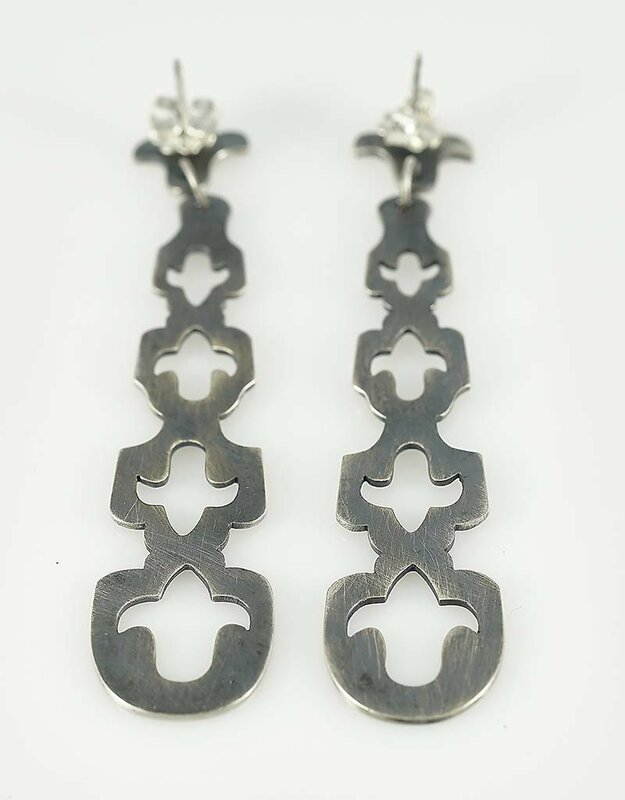 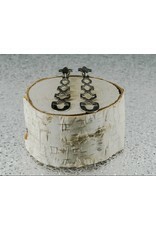 These earrings measure approximately 2.56 " (6.5 cm) from top to bottom.